As a professionally trained chef and Registered and Licensed Dietitian, Green is a sought-after culinary nutrition expert, food and nutrition writer, recipe developer, and cookbook industry consultant. After a career in clinical dietetics and food service management, Green started The Green Apron Company. After working as a personal chef for over 100 clients in the greater Cincinnati area, Green transitioned to her work as a cookbook editor and editorial liaison for the Joy of Cooking Trust. Green edited the Joy of Cooking (2006) and BakeWise (2008). As a food and nutrition writer, Green wrote for Humana’s Active Outlook Program and their award-winning HAO Magazine, as well as Inside Your Town, a community newspaper. 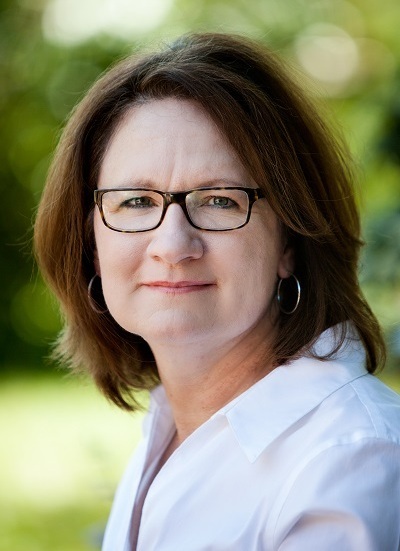 She has presented sessions on writing cookbooks at the Kentucky Book Fair, Books By The Banks, and The Kentucky Writers Conference, and she has participated in numerous panel discussions about cookbooks and food writing. As a cookbook author, Green wrote her first cookbook, The Kentucky Fresh Cookbook, in 2011. Published by University Press of Kentucky, she explores in Kentucky Fresh seasonal cooking and regional foods of Kentucky. In 2016, Green wrote her second cookbook, Tasting Kentucky: Favorite Recipes from the Bluegrass State. Tasting Kentucky showcases 100 recipes from restaurants and inns all across the state of Kentucky. Green’s third and fourth cookbooks, Essential Pantry and Essential Plant-Based Pantry, published in September 2018, set out to change the way a home-cook thinks and feels about cooking as they streamline their pantry and simplify their meals. In the summer of 2018 Green is launching a podcast called Cookbook Love Podcast that celebrates cookbook readers, buyers, collectors, and clubs and offers a chance for cookbook authors to hear from the real cookbook heroes – those who buy our books. In 2015 Green launched private- and group-cookbook coaching services including the Hungry For A Cookbook Mastermind Group. With a focus on first-time cookbook writers, Green facilitates the process of writing a cookbook proposal and building an author platform. Green is a member of the Academy of Nutrition and Dietetics as well as the International Association of Culinary Professionals. She lives in Ft. Wright, Kentucky with her husband, the best male cook she knows. They have three children and a shaggy dog, also named Maggie. They enjoy travel, reading, an ongoing game of Gin Rummy, and spending time in the kitchen and around the table with their family and friends.